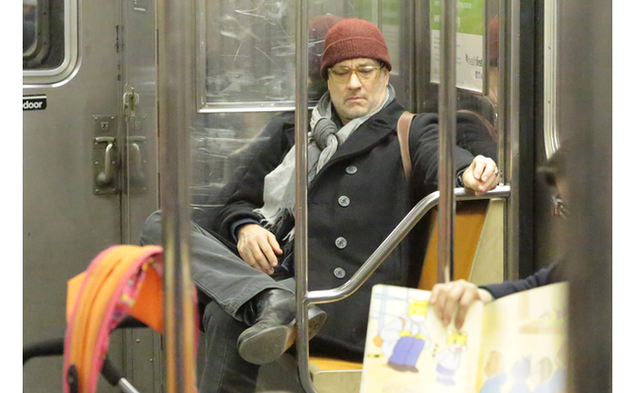 In this photograph, originally published by the London Evening Standard, Tom Hanks appears to be taking up a pair of seats on the subway. You know what? That's fine. Chat about Tom Hanks Took Up Two Subway Seats and Guess What That's Fine here at scam.com! I could guarantee that if it was busy, or a woman, or an elderly person, Tom Hanks would be the first person to stand up. He's a class act. Is a Subway franchise a good investment ? Tom Hanks: WWII was about racism. Who takes Obama & Biden's Senate Seats?